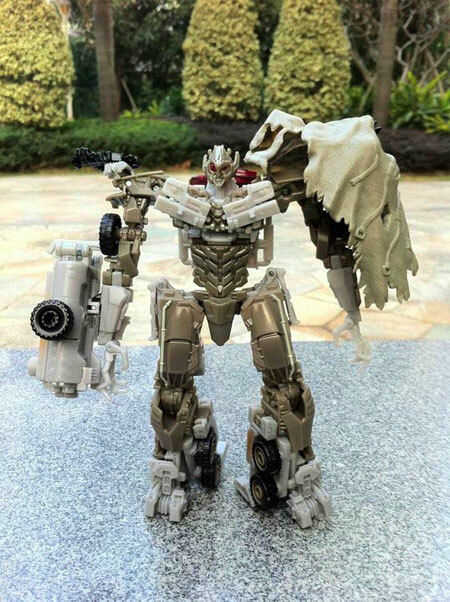 It would seem that Megatron just can't stay happy with one vehicle/alternate form from his robot one being both a plane and a tank in the last two movies. 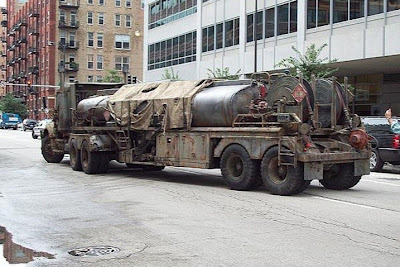 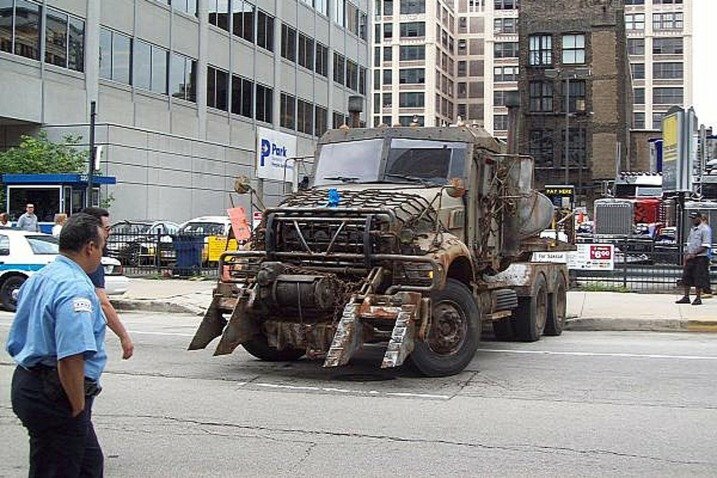 Now Megatron has taken a leaf out of Optimus Prime's books and gone for a heavy tanker/truck. Below are two pics snapped on set and one of the Hasbro action figure in its robot form... Don't think I like it just yet.